Izzet Ozgenc, a criminal law professor and one of the founders of the Turkish Penal Code (TCK) has called on Turkey’s election authority members to deliver judgments within the law after they were harshly criticized for not giving mandates to some opposition mayor-elects as part of a recent ruling. The Supreme Electoral Council (YSK) ruled last week not to issue mandates to opposition mayor-elects who were previously dismissed from their public sector jobs by decrees issued by the Justice and Development Party (AKP) government. The decision was taken even though the candidates had won in the March 31 local election. According to the YSK ruling, the mandates will be given to the candidates who ranked second after the mayor-elects during the local polls. On Friday, the legal expert posted a written statement titled, “YSK rulings and legal assessments on eligibility” on his Twitter account calling on YSK members to rule within the law. 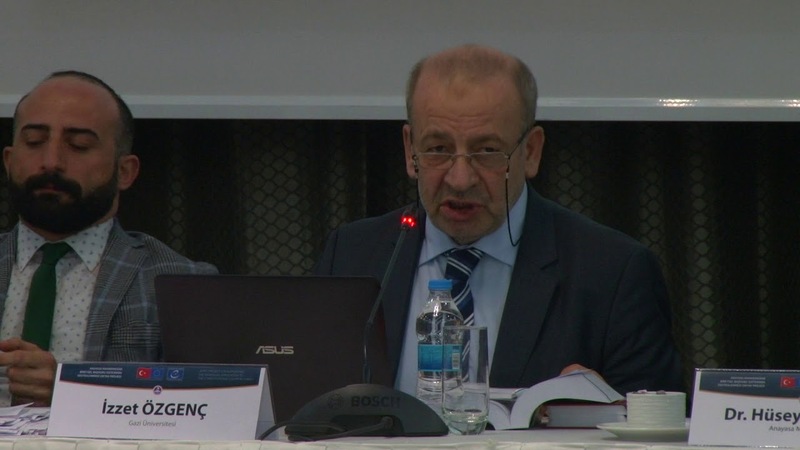 Ozgenc reacted against members of the election board, saying that the ruling on eligibility has no legal basis. “Without being proven guilty of a certain crime, being dismissed from a public sector job through an administrative decision or even decrees [issued by the government] does not abolish [the fact that one meets] the eligibility requirements,” Ozgenc underlined. He added that those mayoral candidates had already been allowed to run in the election, even though the YSK was aware of their dismissal status while they were applying for candidacy. Ozgenc emphasized that the decision given by the members of a high judicial body would pave the way for disputes over the judicial independence in Turkey. “I call on those high judiciary members of the YSK, who go outside the law with this decision, to rule within the law,” he said. Another founder of TCK, Professor Adem Sozuer commented on Ozgenc’s remarks and said that the decision not to give mandates to opposition mayor-elects who were dismissed from their jobs is imposing a penalty without conviction. “It [YSK’s ruling] violates the presumption of innocence and the right to stand for election. As Izzet Ozgenc says, the ruling has no legal basis,” Sozuer said. “Imagine a country where it is free [for a candidate] to run in the elections, however, not to win. A condition that was not required before the election, should not be required too in the aftermath. Otherwise, the practice is called ‘arbitrary’,” stated Muharrem Ince, candidate for the presidency in 2018 from the main opposition Republican People’s Party (CHP). Another statement by the opposition pro-Kurdish Peoples’ Democratic Party (HDP) headquarters condemned the YSK for its ruling. According to HDP, the YSK has become “a part of a designed political conspiracy” with its ruling. The YSK decision will mostly affect elected mayors from the opposition pro-Kurdish HDP. Critics claim the Kurdish political movement has been under an increasing crackdown by the ruling AKP, notably after the July 15, 2016, coup attempt. Ninety-five elected HDP mayors in predominantly Kurdish-populated cities were deposed and replaced with appointed trustees since then.